Álvaro Siza Vieira was born on 25 June 1933 in a town near Matosinhos, Portugal. As a child Siza always wanted to become a sculptor but his father’s opposition and drift in interest lead him to architecture program at the Porto Fine Arts School in 1949. While studying architecture he developed such a great passion for the profession that he started off his individual practice even a year before graduation in 1954. During initial professional life Siza preserved an appreciation for vernacular traditions in his work and maintained them well in contemporary manners. He started working with smaller residential projects but later on his practice grew to large public projects. His collection of works ranges from swimming pools to massive public developments. The most dominant feature about his structures has always been clarity in form and function. Siza always took great care of integrating the program with given environment and adapted a sensitive approach towards both architectural and contextual traditions. 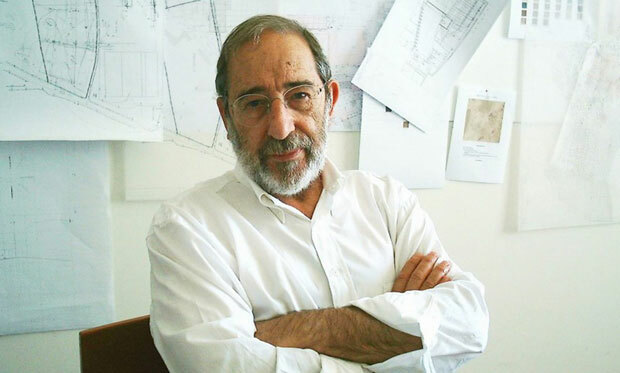 Like many other architects Álvaro Siza Vieira also served as a professor of architecture at various universities including the University of Porto, the Graduate School of Design Harvard University, the University of Pennsylvania, Los Andes University of Bogota and the Ecole Polytechnique of Lausanne. Along with this he has also been a guest lecturer at many universities and conferences around the world that include the United States, Colombia and Argentina to Spain, Germany, France, Norway, the Netherlands, Switzerland, Austria and England in Europe. 2009: New Orleans residential tower, Rotterdam, Netherlands. 2012 “Il Giardino delle Vergini” Pavilion Giardini della Biennale, Venice Biennale of Architecture, Italy. According to critics most of Siza’s work represents a series of experimentation. This is the reason that his work is free of any monotony and every new project brings an air of freshness and innovation with it. His work possesses an advance level of freedom which depicts that Siza’s creativity is not bound by some specific style, obeying some peculiar norms, but it always brings a new taste with it. His work is often regarded as a design adventure where one explores new dimensions and potentials of architectural world. In other words it can also be said that Siza is trying to preserve the endangered genre of architecture through his contributions i.e poetic modern architecture. Álvaro Siza Vieira was awarded Pritzker Award in 1992 for his contributions to the field of architecture and the jury described his efforts as, “His shapes, molded by light, have a deceptive simplicity about them; they are honest.” He retired from his teaching career in 2003 but is still providing the world with best of his works.